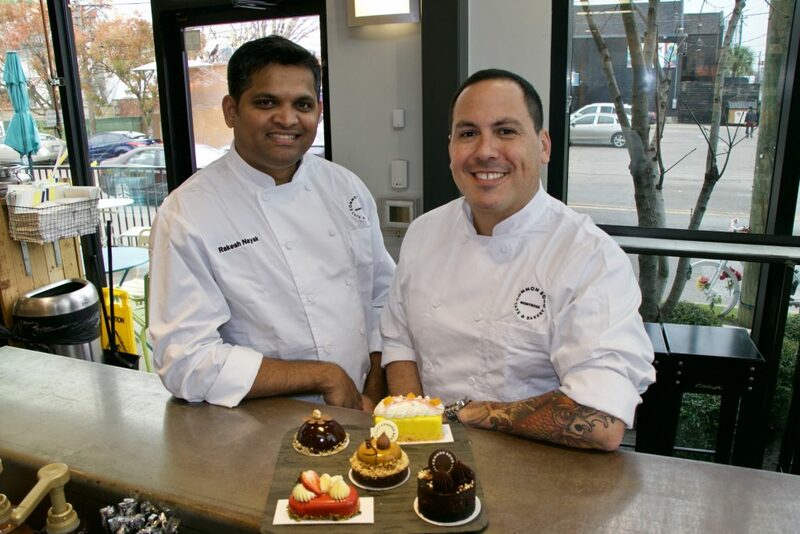 Meet Houston Chocolate Hero Rakesh Nayak of Common Bond and Try His Special Pastry! 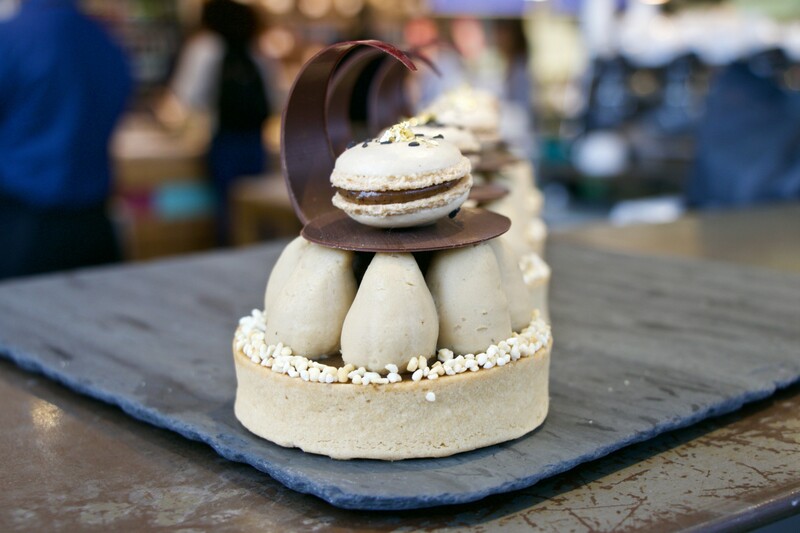 This Sesame Cake Tart with Whipped Sesame and Earl Grey Ganache is Common Bond Pastry Chef Rakesh Nayak's creation for Chocolate Heroes Month. Photo by White Beard Photography. On Sunday, January 27 from 2 to 4 p.m., visit Common Bond at 1706 Westheimer for a special tasting event showcasing the work of Rakesh Nayak, executive pastry chef of Common Bond. The event is sponsored by Callebaut, maker of a wide range of fine chocolates chosen by top pastry chefs around the world for its consistency and high quality. The special dessert is also available at Common Bond for all of Houston Chocolate Hero Month, which runs through February 10. During the event hours only, get a free six-pack of Common Bond macarons with purchase of the tart — a $15 value! Nayak’s career has taken him all over the world and across the sea. He started at a Hilton hotel in his native Bombay in 2003 before moving to Singapore and working as a pastry chef for Star Cruises. Later, he relocated to London for a job with Royal Caribbean. He met his future wife on a cruise — and that would ultimately lead him to the United States. In Manhattan, he helped open upscale bakery and coffeehouse Bibble & Sip. Three years later, he moved to Houston to take the executive pastry chef role at Common Bond. Rakesh Nayak and Jeffrey Ontiveros of Common Bond. Photo by White Beard Photography. Nayak’s devotion to Callebaut is not uncommon, according to the company’s marketing manager Miriam Madrigal. “For more than 100 years, Callebaut has been making chocolate in the heart of Belgium and is still one of the rare chocolate makers to select, roast and grind cacao beans into its own secret and exclusive cocoa mass — the most important ingredient for chocolate couvertures [high-gloss chocolate coverings],” said Madrigal. Some history about the company: Callebaut was established in 1850 in Belgium as a malt brewery. Grandson Octaaf Callebaut produced his first chocolate bars in 1911 and began production of chocolate couverture for Belgian chocolatiers soon after. Callebaut began exporting its finest Belgian chocolates in 1950. Since 2012, Callebaut’s entire basic range supports sustainable cocoa cultivation in partnership with the Cocoa Horizons Foundation. The company is part of the Barry Callebaut group, the world’s leading manufacturer of high-quality chocolate and cacao. Common Bond is one of eight independent Houston businesses featured during Houston Chocolate Heroes Month. View the map to see all eight participating shops. At each, pick up a Houston Chocolate Hero Month Passport and collect a sticker for each of the treats throughout the month. Once you’ve collected all eight stickers, use the attached, pre-stamped envelope to mail the passport and receive a FREE Chocolate Heroes apron!